It’s Magic! – Surely most of you reading this know what Magic: the Gathering is and how it plays, but we’re including this anyways. Magic 2013 does a great job of mixing strategy and planning with the randomness of having to draw cards. Implementing decisions, gauging your opponents’ response, then following up on strategies is immensely satisfying. When you outplay your opponent you can’t help but gaze down upon them, the whites of your eyes sending the longest message of condescension possible. Quality of life improvements – Since Magic 2013 is the third iteration in the series, it’s important that there be “quality of life” improvements. 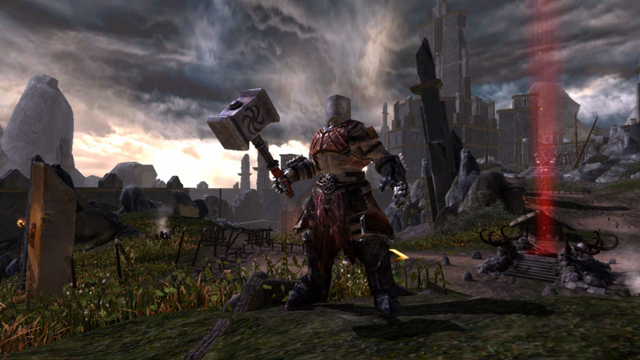 That means making the game slicker and listening to fan feedback and implementing improvements based on that. 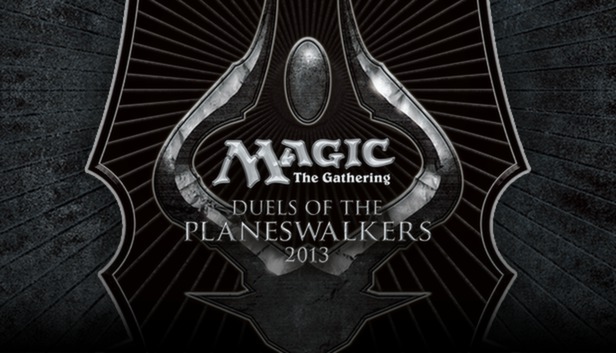 Well Magic 2013 does that quite well. 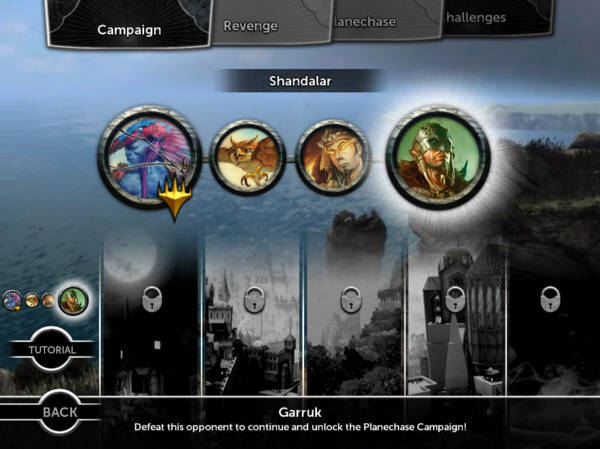 The menu system is reminiscent of Magic 2012 but with a few tweeks in the way information is presented in the Campaign screen. Encounters are now very clearly labeled and puzzles are in their own campaign slide. Before beginning each mission you can see information about the enemy’s deck compared to your own. These comparisons include creature size, deck speed, deck flexibility and card synergy, and provide just enough information to make an educated guess at which deck gives you an advantage. 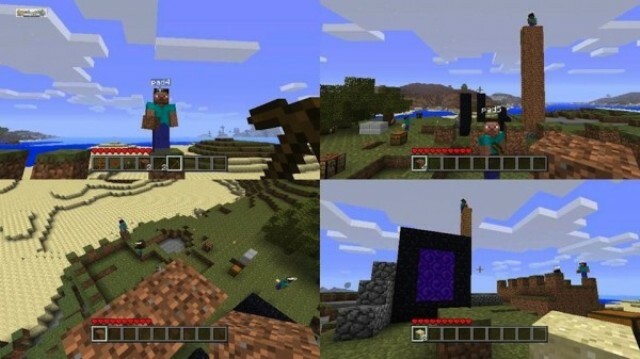 Lastly, players can now manually tap mana as they please. While this really only matters in two-color decks, of which there are only one, it’s nice that it’s an option. On top of that, in-stepping is now properly implemented between each and every ability activation and after each card is played. Organization of information – The deck manager in the past has been a bit frustrating. We say this because many Magic players don’t just throw cards that they like in their deck, they consider amount of creatures versus other spells and the average cost of cards in their deck. 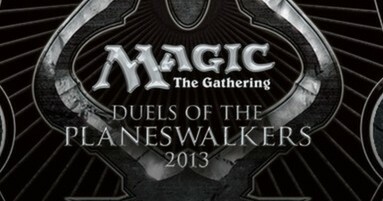 Well, Magic 2013 has something for that. On top (literally) of the normal features in the deck manager which allow you to swap cards in and out, you can now see a percentage of creatures versus other cards in your deck, as well as an exact number of cards based on cost. Planechase – While it’s kind of a clusterbomb to manage four player Magic, Planechase has just enough chaos in it to be a different kind of fun. 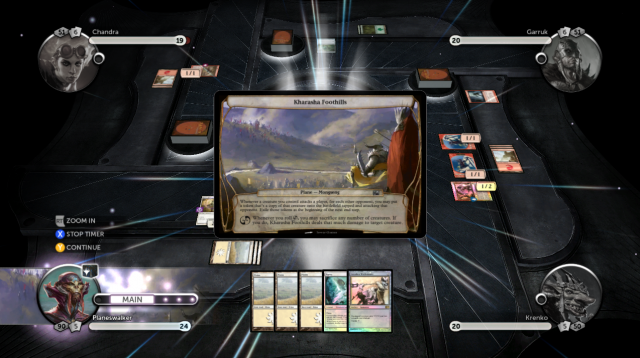 In Planechase, a new game mode to the Magic: the Gathering franchise, duels take place on different “planes” of magic. These planes all have a field ability such as “During your Upkeep phase, if you would untap a creature you control, instead place a +1/+1 counter on it” and a chaos ability which in this case would say “If you roll (chaos), untap all creatures you control”. These cards have a wide range of effects and taking advantage of the ever-changing environment is a welcome strategical challenge. That said, this is not classical Magic, and may be too much random for some, but we do encourage a try or two. The deck doesn’t seem stacked – There were a couple battles late in the campaign where we could’ve sworn it was stacked against us. They kept getting the cards they needed right when they needed them, we knew they had to be cheating. Specifically when fighting Chandra (red mage) we spent nearly 10 turns in a stalemate while she drew no lands only to have her pull 12 damage out of no where just as we were about to win. Eventually we beat her though, and in the battle after it Jace drew no rare cards, not many lands and… well he got screwed by his deck! Just like we have, just like real people do. Even the AI has bad luck, and that’s awesome. Still no full deck customization – This will be here in every review of every iteration of this game. Each deck has 60 cards with 30 cards to swap in and out, which is nice, but ultimately it’s not the full Magic experience. Surely they have their reasons, but it’ll continue to disappoint Magic fans each year. At least what they’ve got is robust. Only one two-color deck – Color mixing in Magic is a big deal and opens up a lot of strategic options that single color decks don’t have. Each color has something unique about it composed of usually three to four different strengths, many of which combine well with strengths from their adjacent colors (see the back of a magic card). 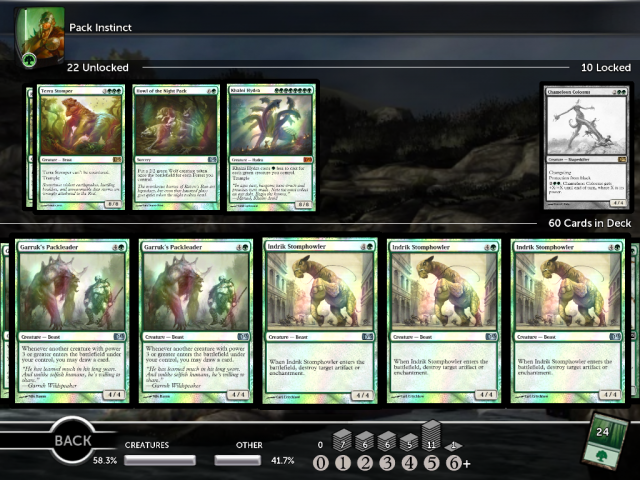 Unfortunately, there’s only one deck like that in Magic 2013. Just to prove a point, it’s really a fantastic deck. You may want to just play Magic: the Gathering with cards, maybe the deck building isn’t thorough enough for you, or perhaps you’ve gotten your fill with 2011 and 2012 already, but Magic 2013 is worth anyone’s time. Magic Core Set 2013 (the set for this game) is a fantastic block and all the decks in Magic 2013 were unique and featured great deck strategies. Each campaign battle teaches you about each deck, and the revenge campaign tests you on them. The puzzles are super challenging, and encounters are also entertaining in that respect (though easier than the puzzles). If you still want to play Magic: the Gathering, or if you want to play a strategic dueling game you should definitely pick up this version of Magic: the Gathering Duels of the Planeswalkers. It’s the biggest offer yet, with the sleekest presentation and it’s got new cards! 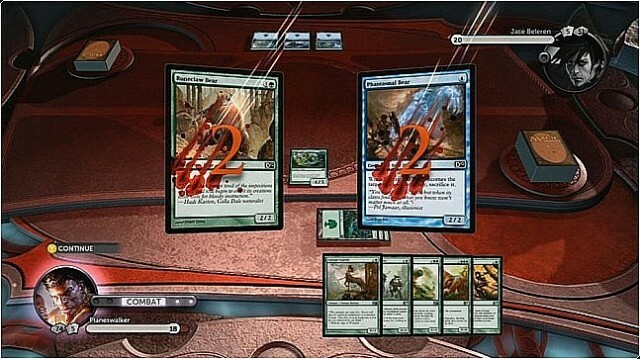 It won’t convert any nay-sayers, but this is the best time to jump into a Magic: the Gathering video game.